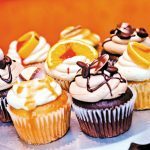 Babycakes, a mainstay bakery and bar in Hillcrest, will relocate to Paradise Hills in June 2018. The business has called Fifth Avenue in Hillcrest home for the past decade. Babycakes said it has outgrown its original kitchen space; the new location is quadruple the size, with more parking and closer freeway access. 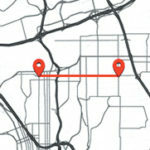 In addition to the relocation, the business plans to expand with storefronts in North County and East County, with a hopeful return to Hillcrest in the future. They will maintain their Imperial Beach location. 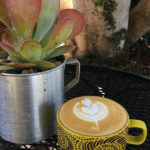 For more information about the expansion, visit BabycakesSanDiego.com. 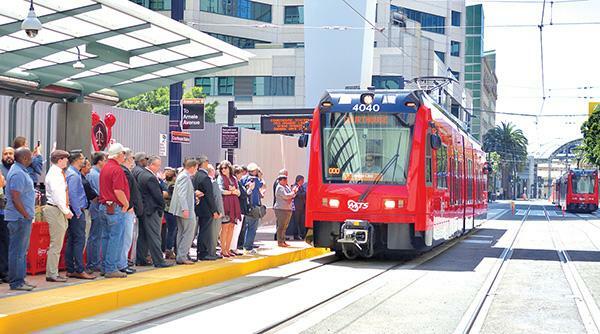 San Diego’s most recent trolley station, The Courthouse Station, will now serve as the Downtown terminal for the Orange Line, which hosts 9 million passengers annually. 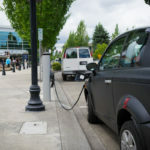 The station is in close proximity to the new 22-story, $555 million Superior Court Building, which has 1.2 million people passing through its doors each year. Metropolitan Transit System (MTS) officials and other stakeholders gathered on April 27 to celebrate the completion of The Courthouse Station construction. Speakers at the event included Georgette Gómez, MTS Board Chair; San Diego City Councilmember Peter C. Deddeh, Presiding Judge; San Diego Superior Court Patrick Gardner, Captain; San Diego County Sheriff’s Department Paul Jablonski, Chief Executive Officer. The trolley station, which is the first since 2005, was implemented and began serving passengers on April 29 outside of the Superior Court Building located at 1100 Union St. For more information, visit sdmts.com. 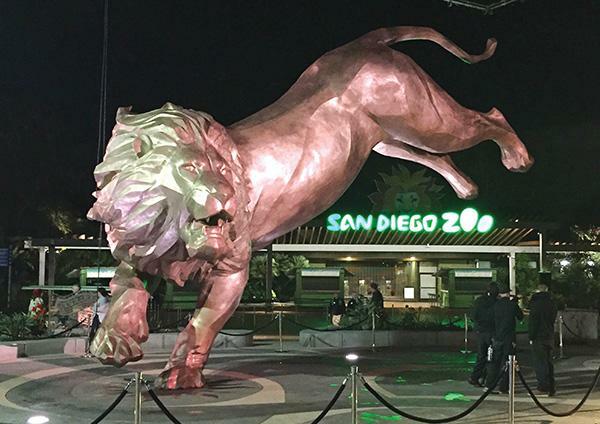 Thornton Tomasetti, the construction engineer behind Petco Park, has installed a new large-scale sculpture creating quite the “roar” at the San Diego Zoo. “Rex’s Roar” is the largest cantilevered bronze animal sculpture in the world, coming in at 27 feet tall and weighing over 18,000 pounds. Rex’s posture on one paw was challenging due to San Diego’s seismicity. In order to position Rex, Tomasetti implemented a custom heavy tube welded from individual stainless-steel plates. 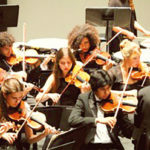 For more information about Tomasetti’s work, visit thorntontomasetti.com. The San Diego Council on Literacy’s (SDCOL) ninth annual “Eat. Drink. Read. 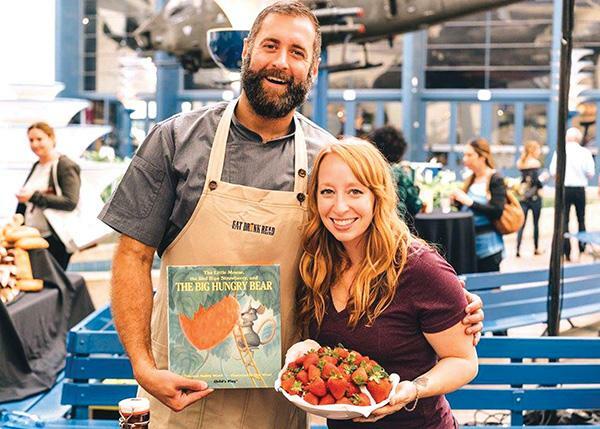 A Culinary Event for Literacy” will feature more than 20 of the city’s finest chefs at the San Diego Air & Space Museum in Balboa Park on May 17, 6–8:30 p.m.
San Diego brewers, distillers and winemakers will bring their libations to the event. The event features live music and a chef battle with awards presented by celebrity judges for Best Dish, Best Dessert, Best Display and People’s Choice. SDCOL’s flagship event raises needed funds to support the nonprofit’s 27 affiliated literacy programs, which annually serve more than 179,000 residents of all ages at no cost. According to SDCOL, more than 520,000 adults in San Diego have difficulty reading, and a majority of them are native English speakers. For more information about the event, visit bit.ly/2w0a6ua. 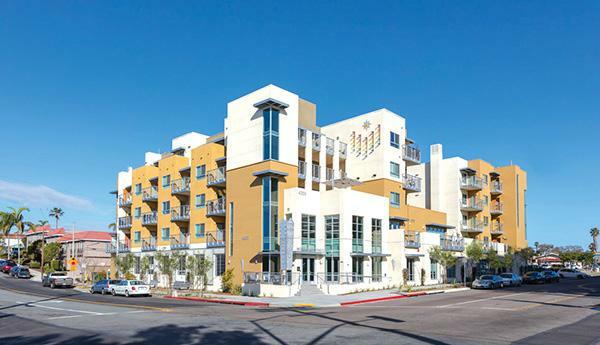 North Park LGBT seniors can now find solace in the first LGBT-affirming senior housing community in San Diego, located at 4305 University Ave.
An opening celebration was held on April 27, which featured speeches from Assemblyman Todd Gloria and Councilmember Chris Ward. This community was developed by Community HousingWorks (CHW). For the project, CHW has partnered with the San Diego LGBT Center, who will provide on-site resident services. The building will provide 76 apartments, which are open to all residents ages 55 years old and up who meet income requirements. 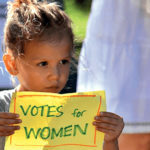 For more information, visit chworks.org. On April 24, Fiesta de Reyes in Old Town received the 2018 Restaurant Neighbor Award for California Restaurant Association Foundation’s (CRAF) Restaurant Day. The Old Town Family Hospitality Group behind Fiesta de Reyes was honored for their donations to the community. These contributions include $66,000 to living history programs in Old Town San Diego Historic Park, $99,000 of donations in meals and materials to support fundraising efforts and programs for community groups, as well as more than $350,000 in direct sponsorships and community program support. Other honorees included Kyle’s Kitchen in Santa Barbara, Hoffman Hospitality Group in Long Beach, Bravo’s Soup and Sandwich Shoppe in Elk Grove, and Red Robin of the Southern California Region. For more information about Fiesta de Reyes, visit fiestadereyes.com.